Actor Shahid Kapoor became a parent one more time when he and Mira welcomed the arrival of their son Zain a week ago. The actor said he had not been able to take time out for promotions of his upcoming film Batti Gul Meter Chalu. 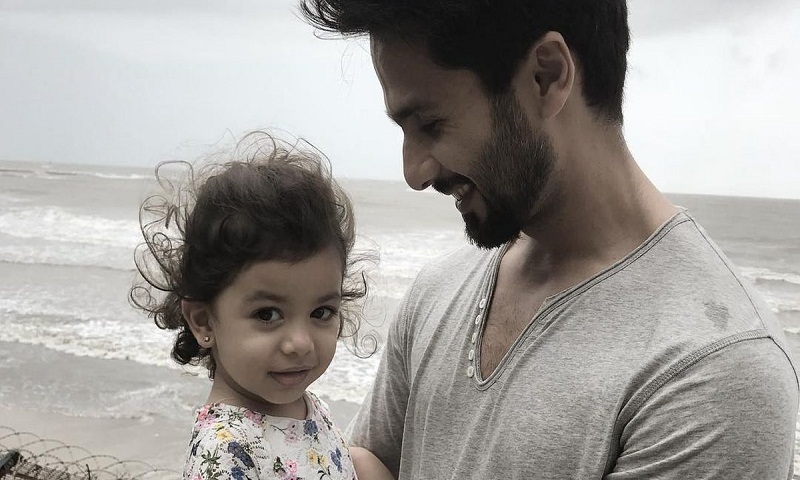 Shahid already has a two-year-old daughter Misha who is reportedly not keeping so well these days. According to Times of India, Shahid has been having sleepless nights ever since Misha is down with high temperature. The doting father has been reportedly staying up 32-35 hours at a stretch. Earlier, Shahid announced the name of his son and thanked his fans for their wishes on Twitter. “Zain Kapoor is here and we feel complete. Thank you for all the wishes and blessings. We are overjoyed and so grateful. Love to all,” the tweet read. Also starring actresses Shraddha Kapoor and Yami Gautam, Batti Gul Meter Chalu is slated to release on September 21.